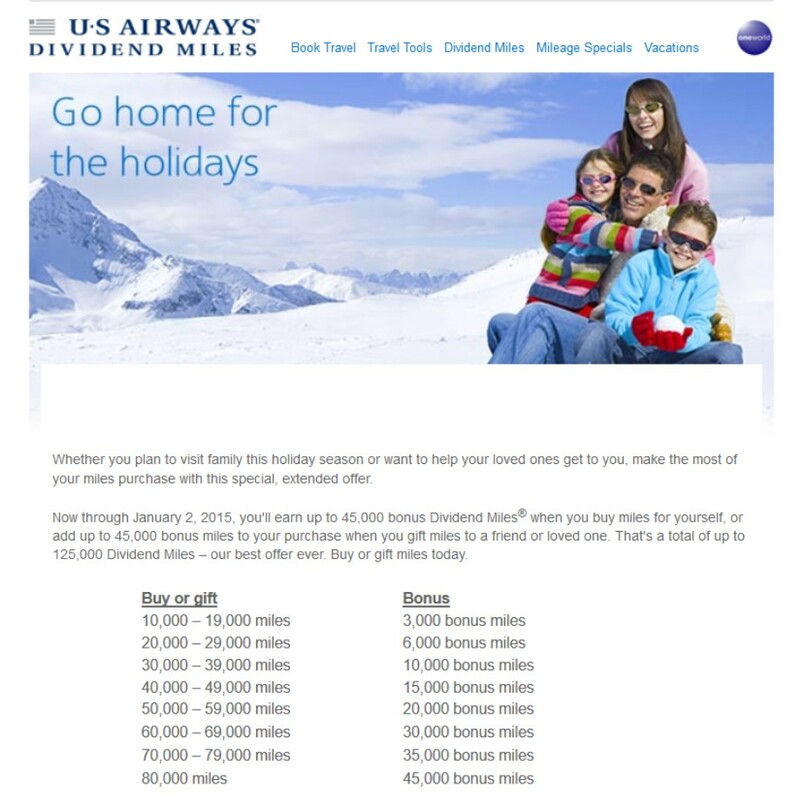 Now through January 2, 2015 you get bonus miles when you buy US Airways Dividend miles. 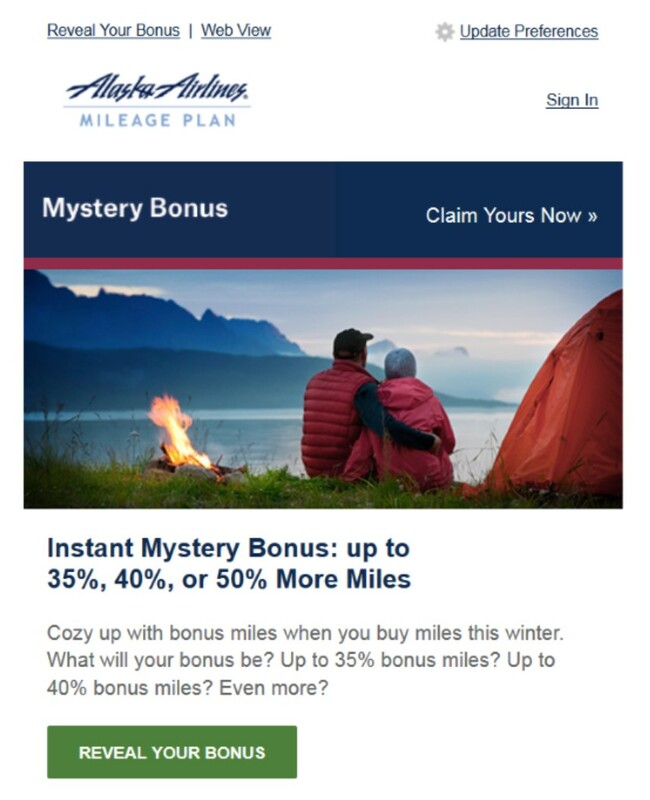 The bonus miles varies depending on how much you buy. If you max it out and buy 80,000 miles, you’ll get a 45,000 mile bonus for a total of 125,000 miles. For a cost of $2360, that comes out to 1.8 cents per point. That sounds like a decent deal when you consider that Ben values these miles at 1.6 cents each while Brian values them at 1.9 cents apiece. However, when you add in the taxes and fees, the actual cost is $2572 or 2.06 cents per point. Not such a great deal – unless you just need a few miles to top off an award. If you’re going to get a better value than that – then go for it! 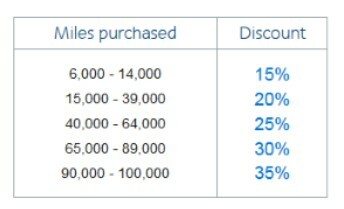 Also remember that purchased miles are processed by Points.com and therefore do not earn any airline bonus category miles on your credit card. Remember that in the second quarter of next year Dividend Miles will be converted at a 1:1 ratio to American Airlines AAdvantage miles.